i’ve drove by this place so many times, but never gotten around to drop by until this evening. the first thing that caught my eyes is the beautiful pink and brown colors of their cute “hotcakes bakes” sign. i’m not much of a cupcake fan actually (but i think cupcakes are very cute and pretty and i enjoy looking at them), but once in awhile, i do have an urge to have one. so, after dinner nearby, we decided to check out this little hidden treasure. once inside, we were both greeted by a friendly lady in a sweet pink “hotcakes bakes” t-shirt. your attention will immediately go to the array of yummy looking cupcakes, macaroons, brownies, freshly baked cookies, canneles, and other sweet desserts on their display counter. behind the counter, it’s an open pastry kitchen, where another lady in the same pink t-shirt was busy working on some yummy desserts. watching her work just even for a minute tempted me to take up some pastry classes. (i hope they will offer some pastry classes, demo, or tasting events in the future. that would be so much fun!) there are only two little cozy half-circle tables if you want to eat in. on each side of the walls, there are newspaper articles about them and celebrity signed photo. along side on the side counters, there are also display of beautiful wedding cakes. I think they used to be in Westwood?? 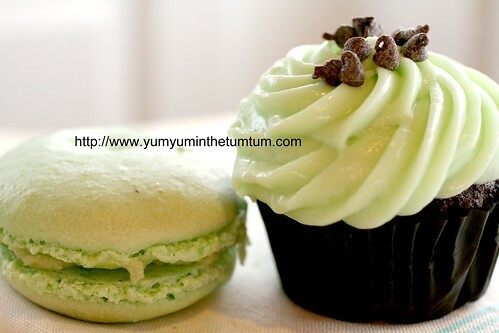 Your photos make me want to try these yummy treats! Great shots, and thanks for the info! 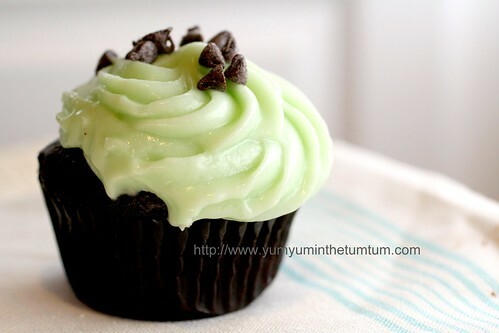 The cupcake looks so pretty! 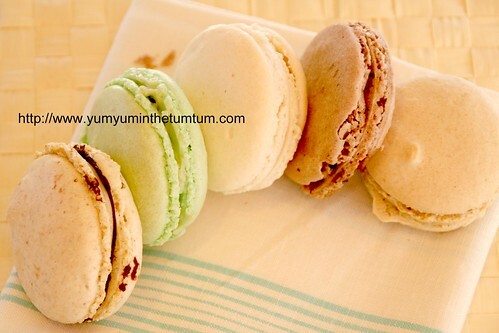 I would love to try those macaroons!